Check out what the Brooklyn Horror Film Festival has in store for it's second year! Opening the festival is the North American Premiere of HOUSEWIFE, the newest film from director Can Evrenol who showed immense promise with his brutal 2015 breakthrough BASKIN. Sponsored by Birth.Movies.Death and taking place at the Alamo Drafthouse in Downtown Brooklyn, HOUSEWIFE tells the tale of a woman - haunted by a horrific childhood incident - who struggles with separating her nightmares from reality after she meets a charismatic psychic with a secret agenda. With this hypnotic and gruesome ode to Bava-esque Italian horror, Evrenol solidifies himself as one of horror’s most exciting new voices. Director Can Evrenol will be in attendance at the BHFF screening. Followed by a special party at the Alamo’s one-of-a-kind venue, the House of Wax with DJ Witchboard aka Glenn McQuaid (I SELL THE DEAD) and sponsored by Coney Island Brewery. 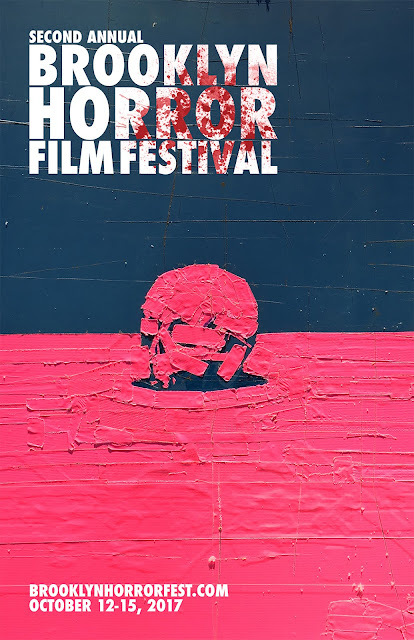 The Brooklyn Horror Film Festival (BHFF) is a competitive international film festival showing nothing short of the best in badass genre film. In addition to the screenings, we have parties, Q&A’s with filmmakers, panels, events, food & drinks and more. The directors of BHFF are committed to celebrating the art of horror filmmaking and are focused on pushing horror’s boundaries to challenge the genre’s preconceptions. The Brooklyn Horror Film Festival (BHFF), will take place on the weekend of October 13th screening feature films and short films that represent filmmakers from around the world.